Pie & the 4th of July! Independence Day is a few weeks away! Our 9" Not So Tiny flag pies are the most precious AND patriotic (plus the most delicious) addition to any pool party or BBQ. Choose from RED & BLUE (cherry & blueberry) or APPLE, serves 6-8 ($35). And, what's a better compliment to a nighttime picnic, watching fireworks than a 12-pack box of Tiny Pies?! Listen to the symphony & cozy up with pecan, cherry, apple, and Texas two step ($54)! Or as you lay under the stars & fireworks, you may want to enjoy a dazzling 5-pack box of Star Pies! Assorted blueberry & cherry ($20). Tiny Pies will be a delightful addition to any gathering, as we celebrate our nation. A TINY PIE is about as American as it gets - Blending tradition with innovation! pre-order today and share with your loved ones on the 4th of July! Pre-order by June 28th. Multiple pickup options available. 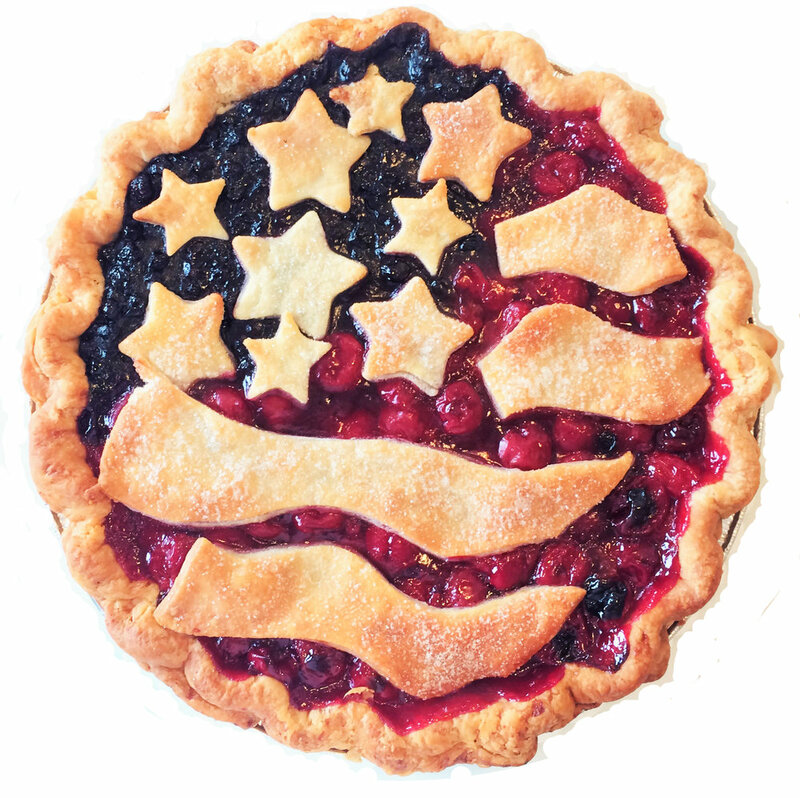 We'll also be open on Tuesday, July 4th, so come on in and grab some pies from our case until sold out!